4- axle articulated wagon Sgmmnss 52´ for transportation of containers is suitable for transportation of special containers 40´, 45´ and 52´ with maximal weight of 73,5 t. ISO containers 20´, 26´, 40´ and 45´ classified UIC 592. In empty condition, the wagon is classified in FI category, and in loaded condition, it is clasiffied in FII category according to EN 12663-2. The wagon is designed for operation in S mode. 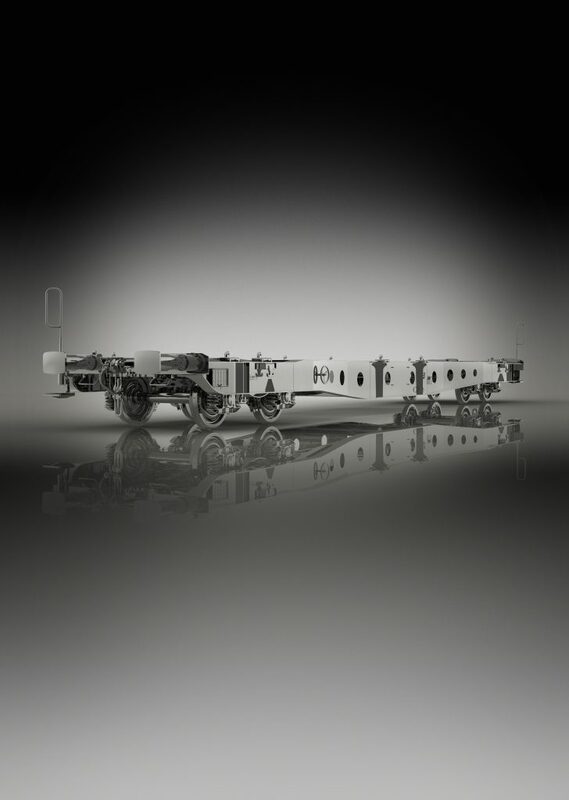 The wagon is designed for operation between railways with normal track gauge, and for climatic conditions with T1 temperaturess (from -25 °C to + 40°C) according to TSI-WAG. The wagon complies with regulations of TSI-WAG, TSI NOISE, ERRI recommendations, EN standards applicable UIC leaflets and the agreement about mutual use of freight wagons in the international transport AVV.